Not so much a flat map, but have you seen the map of Piri Reis? 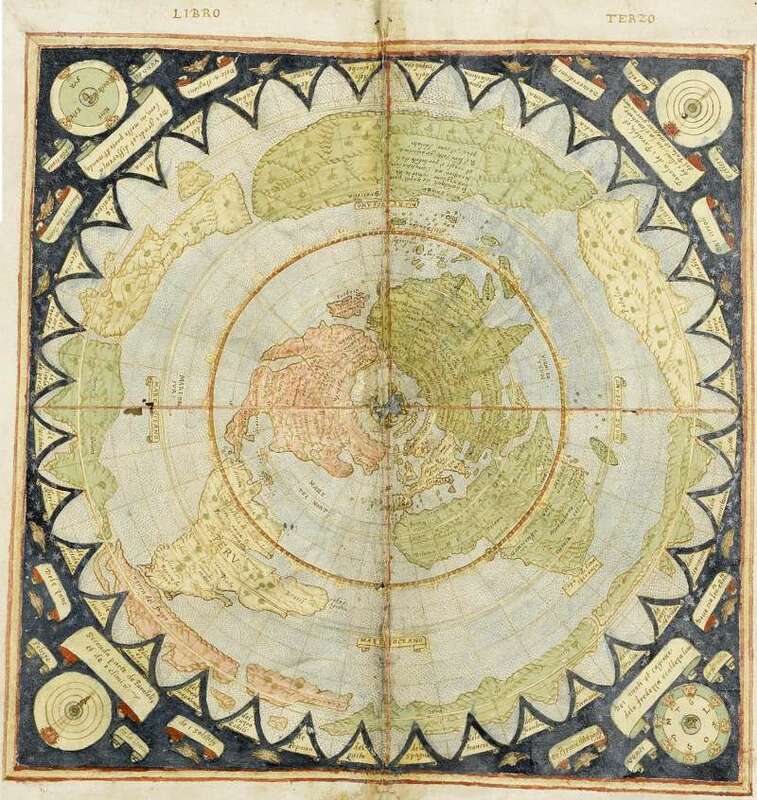 Supposedly a map drawn in 1513 showing "accurately" Antarctica with no ice? very interesting. TravelinHero wrote: Not so much a flat map, but have you seen the map of Piri Reis? Supposedly a map drawn in 1513 showing "accurately" Antarctica with no ice? very interesting. Yes, we have seen it. In fact, it has already been posted in this thread. 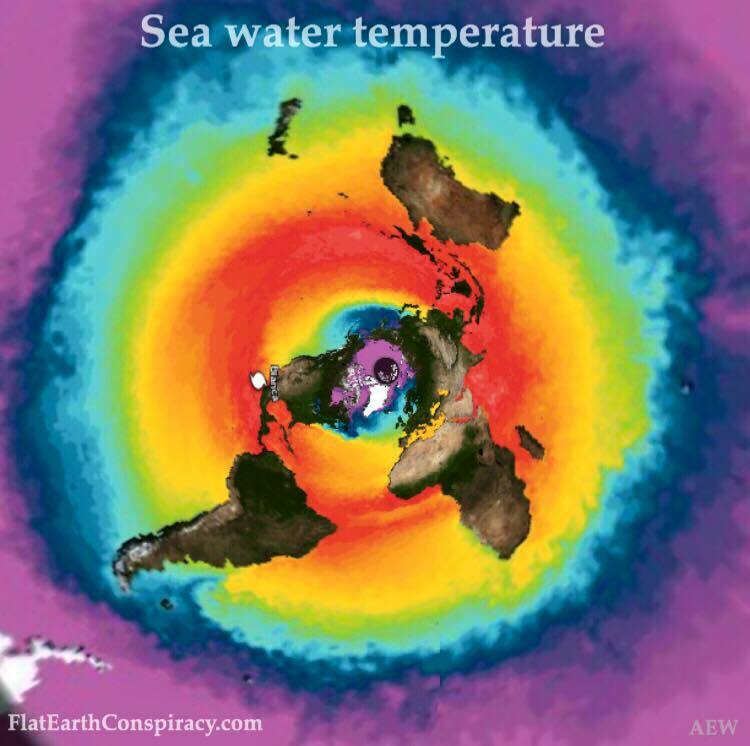 It is extremely interesting, because it helps to confirm that the NWO hide parts of the planet from us, like they do at the 'North' pole, where they hide the 4 rivers, Mount Meru, and the mild climate, for various reasons. Mercator's maps of that area show that it is not all ice; in fact it is a landmass and many islands, and not all of it is frozen, as was confirmed by many explorer's in the 18th, 19th and early 20th centuries. 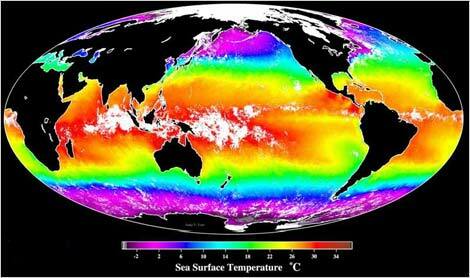 Here is a Map showing the tempretures of the sea on a Flat Earth Map. It contains interesting titles of old books in many different languages and a decent search feature. Little is known about the 15th-century Venetian geographer and cosmographer Giovanni Leardo, beyond the fact that three of his world maps have survived from late-medieval times, signed by their creator. This is the oldest world map held in the library of the American Geographical Society, and it is considered the finest example of a medieval mappamundi in the Western hemisphere. Jainism has its own version of geography and cosmology, in which the universe is divided into three kingdoms: the upper is the realm of the heavens and the celestials; the middle is the domain of humans, animals, and plants; and the lower, which belongs to the damned and the disorderly. This compilation of British navigators' accounts of their voyages around the world covers the famous voyages of Sir Francis Drake and Captain James Cook, as well as expeditions by George Anson, John Byron, Samuel Wallis and Philip Carteret, and Constantine Phipps (Lord Mulgrave). The second part of the introduction begins at folio 4 verso and is devoted to astronomical problems, in particular the movements of the sun and the moon in the sky. While creating a model that was mathematically consistent with the Ptolemaic one, Ibn al-Shāṭir was able to formulate a planetary theory of circular uniform motion, in compliance with Aristotelian ideas on matter. This is a work on timekeeping and the determination of the direction of prayer (qibla), particularly intended for people who travel. The author, Abu al-‛Abbās Shihāb al-Dīn Ahmad b. Zayn al-Dīn Rajab b. Tubayghā al-Atābakī, known as al-Majdī or Ibn al-Majdī (1366-1447 [767-850 A.H.]), was descended from a powerful family with ties to Mamlūk rulers and was a renowned and prominent mathematician, geometrician, and astronomer. This manuscript is a work on practical astronomy and the drawing of the circle of projection and related concepts from spherical trigonometry. 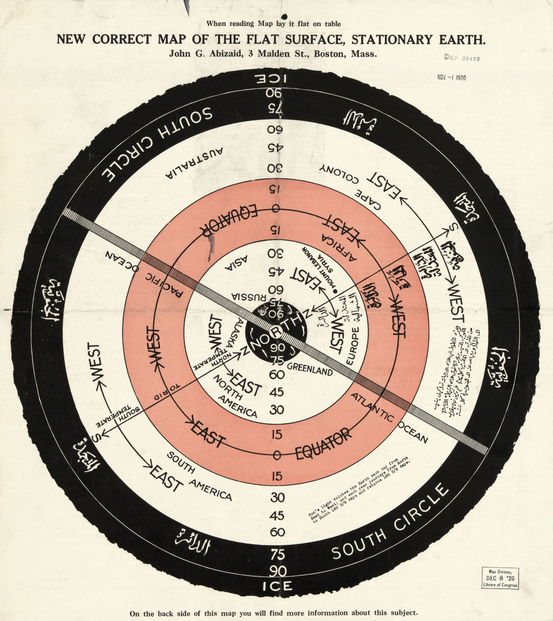 It is rich with geometric diagrams, tables of empirical observations, and computations based upon these observations. An interesting feature of the manuscript is the appearance on the margins of the cover, and on several pages in the manuscript, of edifying verses, proverbs, and witty remarks. One reads, for example, “It is strange to find in the world a jaundiced physician, a dim-eyed ophthalmologist, and a blind astronomer.” Most of the remarks applaud the virtues of silence. The manuscript is dated 1153 A.H. (1740). I don't do many of the languages on offer, so not sure of the overall value to our research. Ran across this one, didn't see it in the threads. 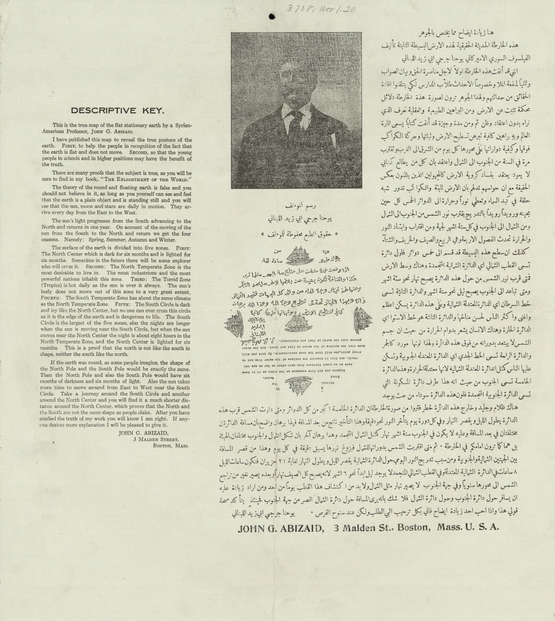 From what I read on the site where I found this, this was found in the Library of Congress. I ran across some interesting info about this map today, haven't seen it posted elsewhere. ALSO, here's a link to another Google article. This is about the US Patent for a "Universal Planisphere Complete Guidance and Computer System" from January 7, 1975. No wires, no batteries, no circuits whatsoever. 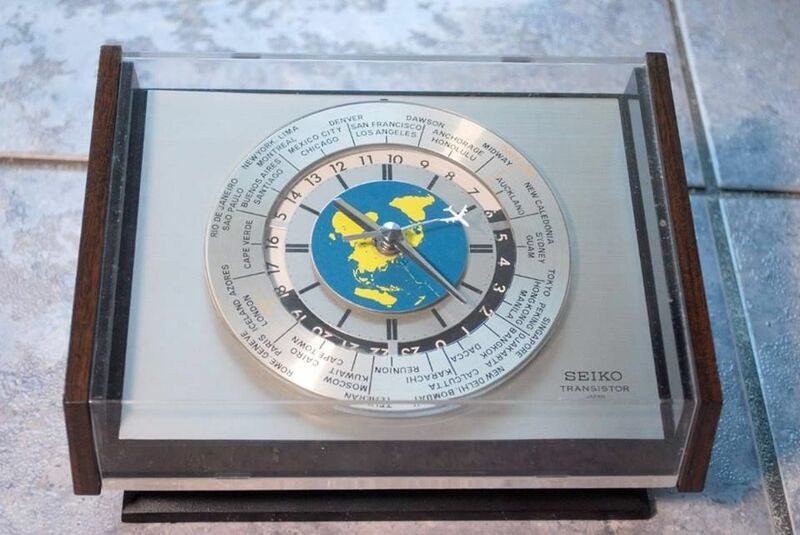 Looks a LOT like an astrolabe on steroids. 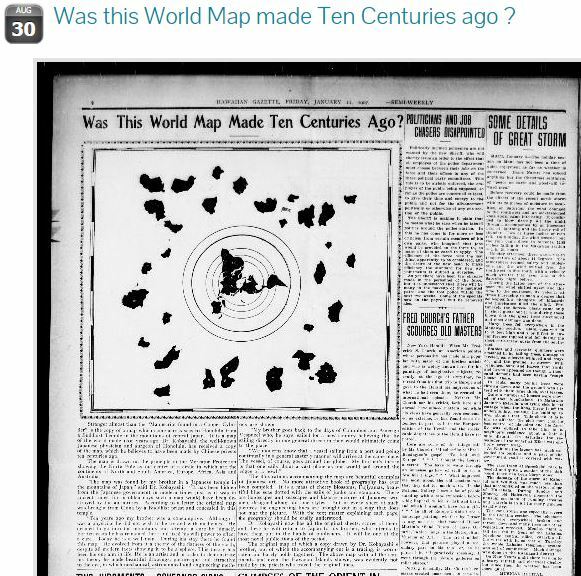 What was even more interesting is that the Planisphere Patent uses the Gleason Map Patent as one if its Cited References. Vid is by Flat Water. Worth taking a look IMHO. 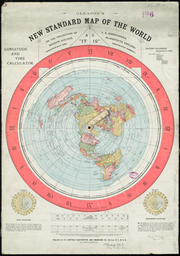 Good information concerning maps with reference to a flat earth north pole projection map. An angle was used to draw all the longitudinal lines, these reference marks fan out to the edge of the map, they are not to used for scaling objects or distance. What we have here, is Rob Skiba selling Fake Globe Flights in the southern regions. FlatEartherInNH wrote: Ran across this one, didn't see it in the threads. 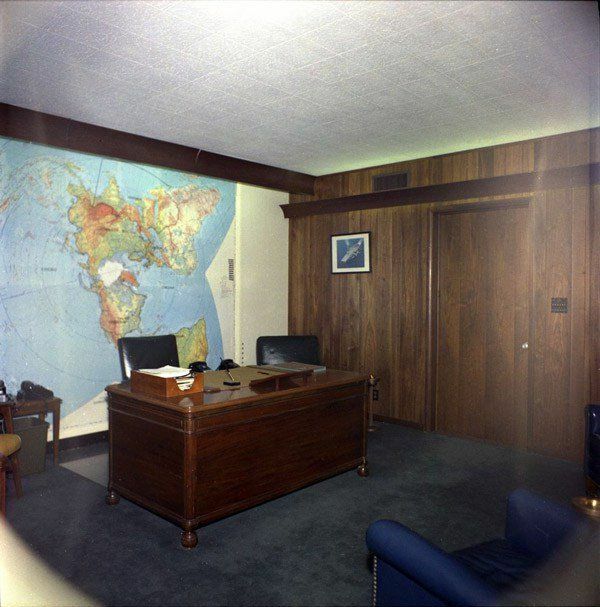 Brian Clark, Referencing the map on video. This guy has morphed his voice to a chipmunk and when he curses the dirty bastards club it is hilarious! 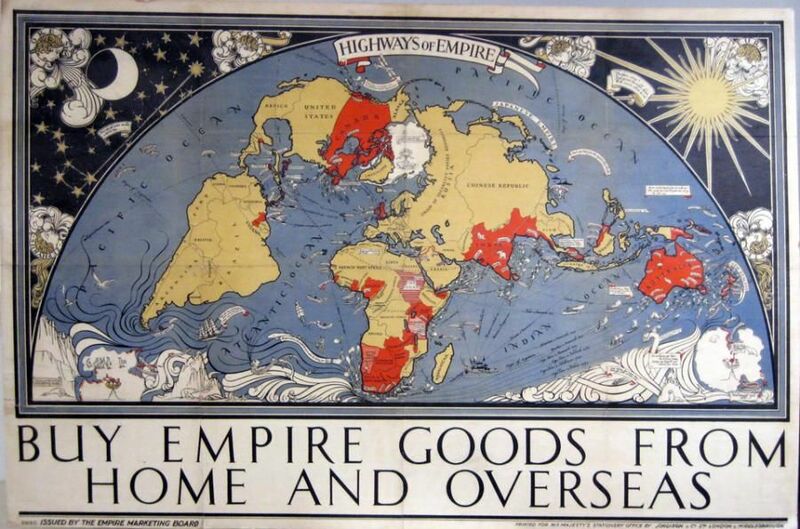 Hm, overlaying a portion of the "globe" over the Abizaid map is a pretty pointless task in my opinion, as we know most modern projections distort the sizes, and thus relative positions of continents. 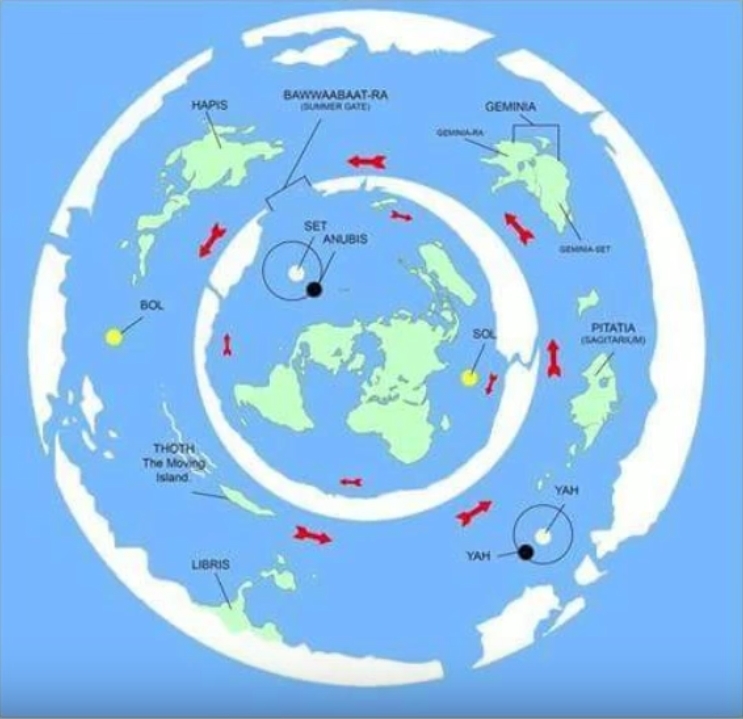 Seeing as Antarctica is completely controlled, and not open for exploration, I would too speculate that the place where organised "flights" and "cruises" visit is actually a land mass close to the "southern circle" as mentioned in the video. Unfortunately I don't see this "solving" anything per se, just raising more questions. This map is on a wall at a marine station in Germany. I believe you've been looking for this. this more land nonsense is annoying. another way to make us believe there could be aliens... "they" cannot come from above, so they want us to believe they could live beyond Antarctica. Looking for help from graphic designers, architects, professional video makers and painters to create an up-to-date accurate flat earth map.